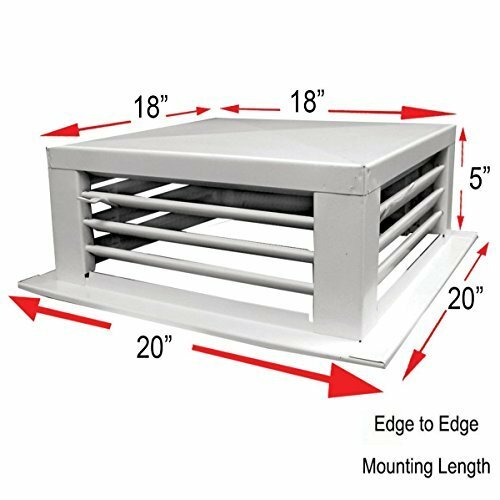 White Powder Coated 4-Way Adjustable Metal Diffuser for Evaporative/Swamp Cooler, Cover Hole Size 18" x 18". - White powder coated metal - Body dimension: 18"W x 18"L x 6"H - 1" width edge at the end of the body for easy installation. See image for details. - 4-way adjustable.